At AutoNation Inc., the time it takes to cancel consumers’ F&I products has shrunk to three days on average, a fraction of what it used to be, since the nation’s largest new-vehicle retailer began using F&I product cancellation software at its dealerships. Because of the faster turnaround, car buyers at AutoNation stores can now more easily use a refund from a canceled product on a trade-in vehicle as a down payment on their next vehicle. With AutoNation’s old system, in some cases, it took months to cancel consumers’ F&I products, in part because the system gave no reminders when the process was stuck at a step, said Li Huang, IT director for AutoNation. It was a drawn-out process that could hold up consumers’ refund payments. On average, AutoNation receives 10,500 cancellation requests per month, Huang said. AutoNation started using PNMsoft’s business process management suite, called Sequence, about two years ago but fully launched it 16 months ago. Now the dealership group is seeing results, said Matt Giunta, vice president of AutoNation’s shared service center in Irving, Texas. “We used to have to manually check the cancellations” for F&I products, such as GAP policies, extended service contracts and tire-and-wheel plans, he said. “We would have to go through 30,000 processes a day to figure out which was canceled and which to follow up on.” Thirty thousand processes is roughly three months’ work of cancellations, Giunta said. The program ensures that all required information and documentation are entered as early as possible, she said. All cancellations are done out of AutoNation’s shared service center. “In the past, the shared service center and the stores had to work back and forth to get all the information needed for cancellation,” she said. The Sequence system is integrated with AutoNation stores’ dealer management systems to access deal and product information. That reduces human error, she said. With the old system, managers typed on a keypad the products to be canceled. A mistake could halt the process. Also in the past, sometimes more than one store would process cancellations for the same product on the same vehicle. “The new system prevents that from happening because the system will flag the product deal as in-process as soon as one store starts the process,” Huang said. 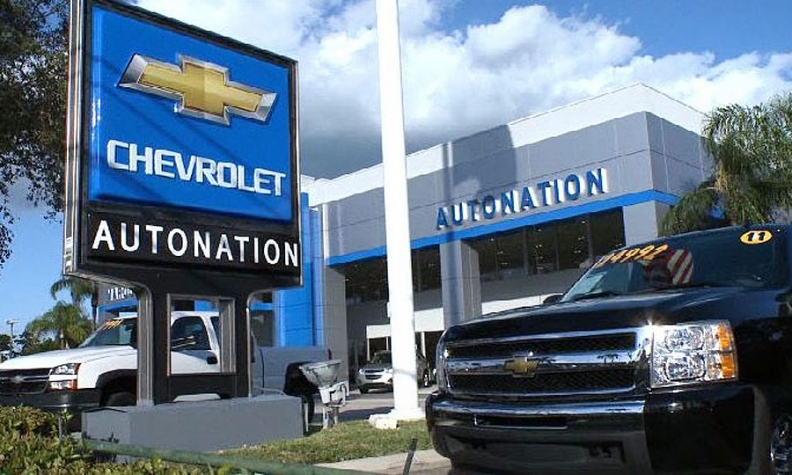 AutoNation has saved $500,000 in labor costs since it began using the program, and it reduces work at the store level because the process now is done at the company’s shared service center, Giunta said. “The savings come from efficiencies in the process, removing unnecessary steps from the process, and using the system to do what humans used to do in the past,” Huang said. Another benefit to dealers is data control, Giunta said. The system will pull up every product the customer has purchased and point out the customers’ opportunities to use the canceled product refund as a down payment for their next vehicle, he said.